Vancouver enjoys a worldwide reputation for its cannabis-friendly environment, and has been home to some of Canada’s most prominent and vocal pot advocates. 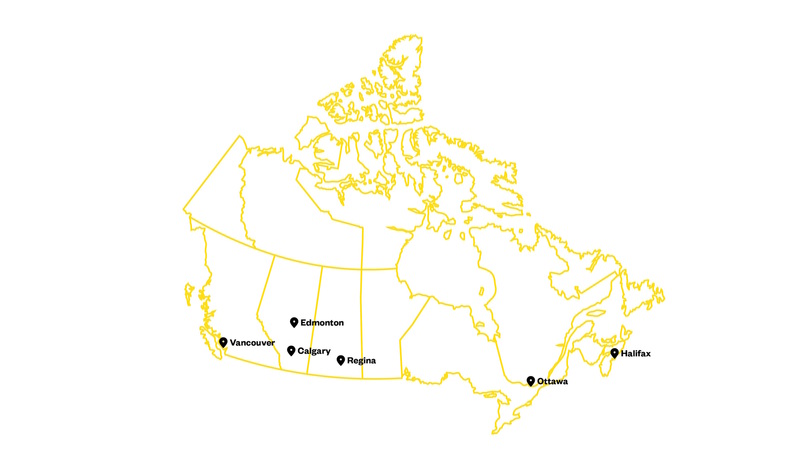 It was also one of the first cities in Canada to regulate cannabis dispensaries — in spite of the federal ban prohibiting them. The Vancouver Police Department also prides itself on taking a “progressive” approach when it comes to drug policies. 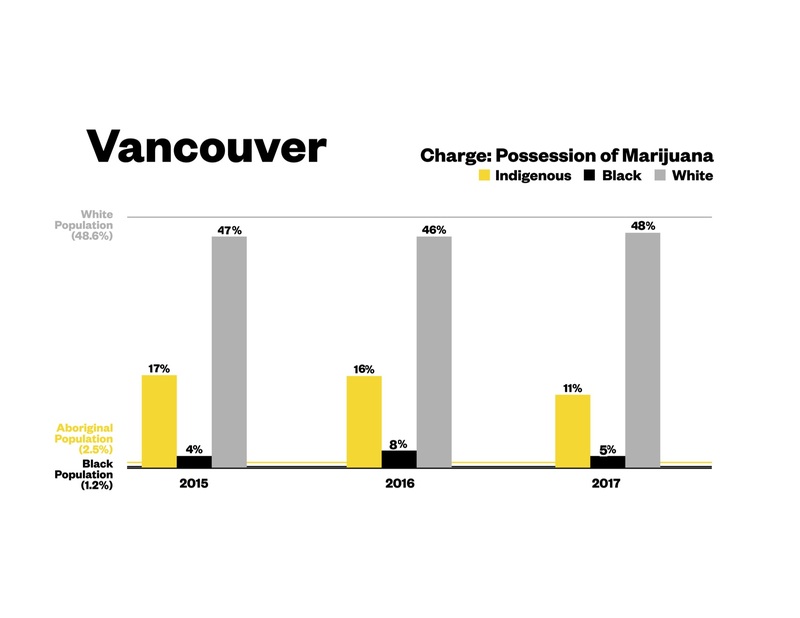 Vancouver Police spokesperson Jason Doucette continued: "As for the imbalance of the per cent of a certain race being arrested for cannabis possession, I don’t have any information showing that race played a role. It’s the presence of a crime, not a person’s race, that leads to their arrest." 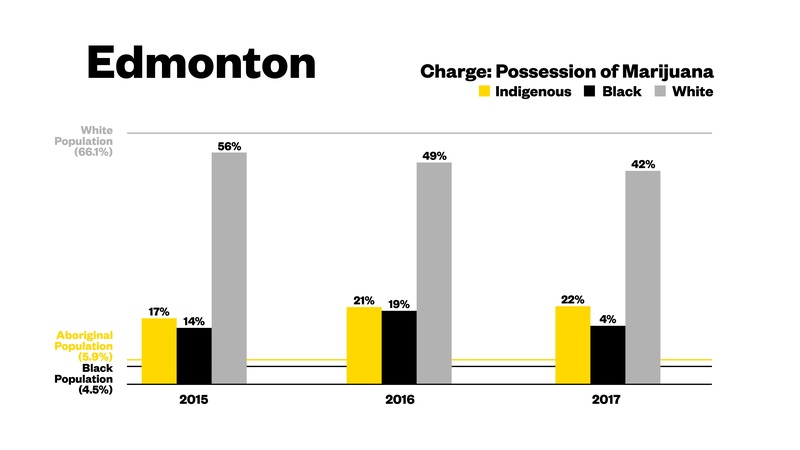 The Edmonton Police Service has been criticized for years for its practice of street checks — also known as carding that disproportionately target people of colour. It’s when police officers stop and question those who are not suspected of committing any crime. 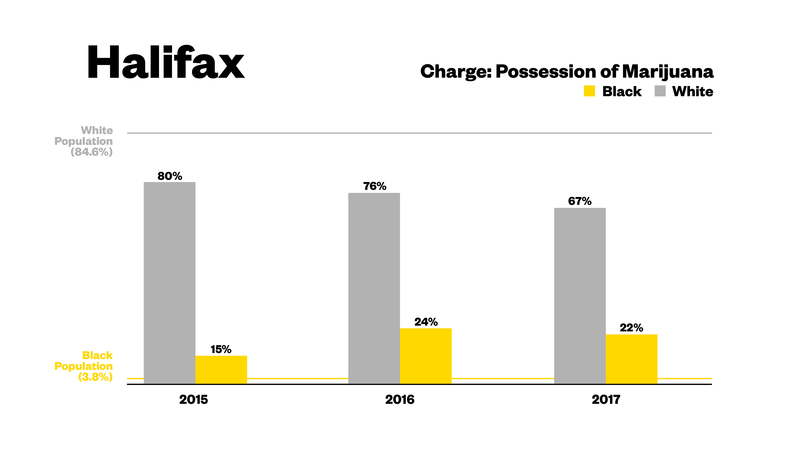 Data obtained by news outlets previously shows that Indigenous women, and Middle Eastern and black people are far likely to be checked by police in the city than white people. The Edmonton Police commission subsequently launched a review into the practice to determine whether it’s fair and respectful. 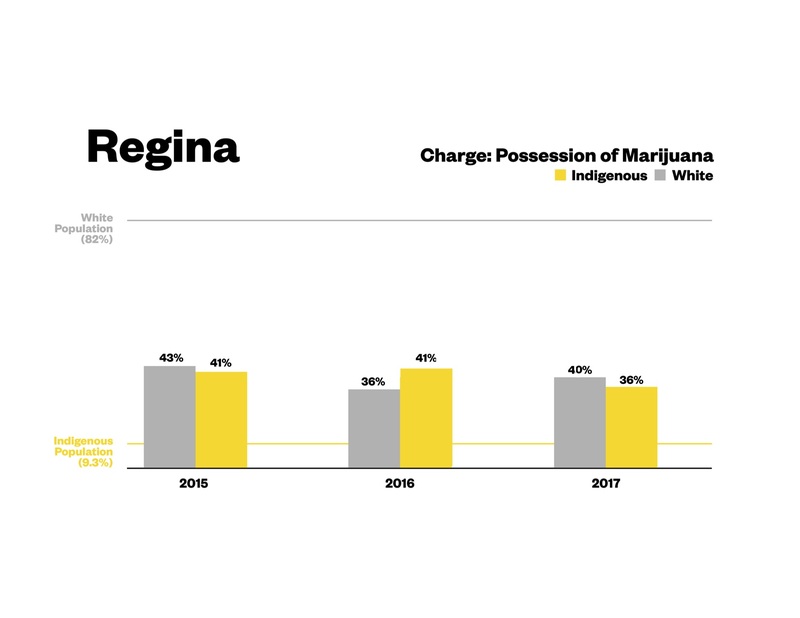 "It is important to note that those charged with possession of cannabis may not all be residents of Calgary, and therefore comparing police data to city census data is not equivalent. Many people spend time in Calgary from surrounding communities, or as visitors, and these would not be represented in the city census data." 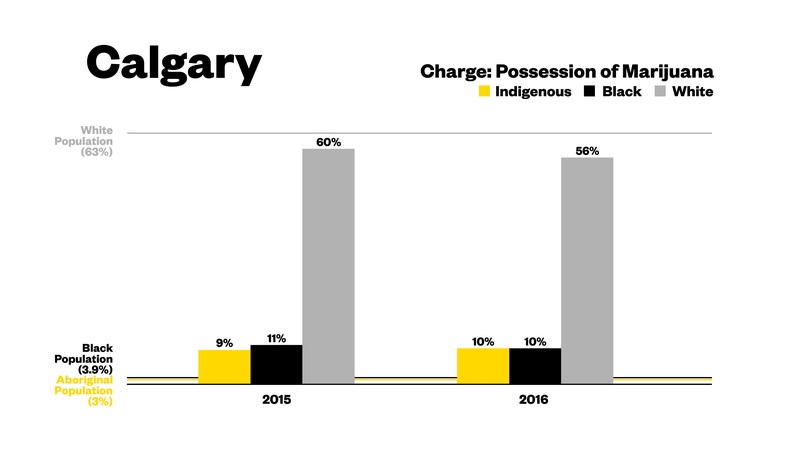 Data via Calgary Police Service and Statistics Canada. 2017 data is from Jan-July.